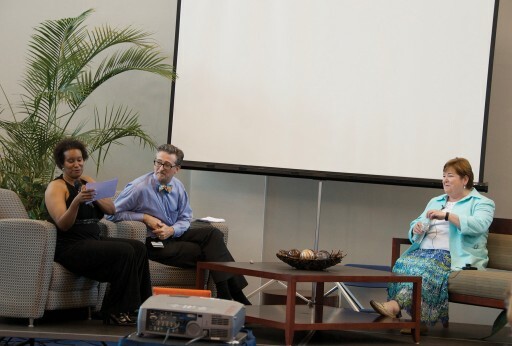 THE COLLEGE of Dental Medicine hosted its White Coat Ceremony and Ethics Seminar on the same day this year, July 11, reinforcing the message and values that characterize both occasions. The White Coat Ceremony, celebrated annually since 2002, encourages ethical behavior as rising sophomores prepare to begin patient care. The International College of Dentists and American College of Dentists provided coats and a post-ceremony reception for the Class of 2017. The latter also sponsored the Ethics Seminar for the junior class, sharing pizza after a morning discussion of ethical dilemmas and professionalism. THE COLLEGE of Dental Medicine’s four-year-old Hispanic Student Dental Association chapter has been named the 2014 National Outstanding Student Chapter of the Year. The award recognizes service, education, advocacy, and leadership in Hispanic oral health. GRU INDUCTEES into the Phi Kappa Phi Honor Society are three faculty members – Department of General Dentistry Chairman Rick Callan, Department of Oral Biology Associate Professor Mohammed Elsalanty, and Department of Oral Rehabilitation Interim Chairman Kevin Plummer – and three students: Lauren Hughes (Class of 2015), Amir Lamei (Class of 2014), and India Lamothe (Class of 2015). 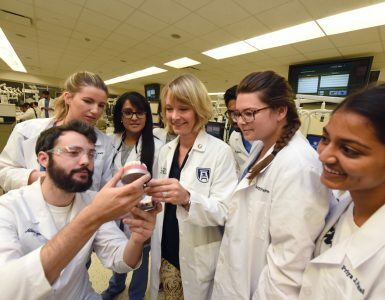 A PAPER about irrigant agitation techniques and devices published by Drs. David Pashley and Franklin Tay, along with PhD and postdoctoral students, has been reported the fourth most-cited article in the Journal of Endodontics. The article was cited 101 times from 2009-13. VARIOUS recent fundraisers have garnered more than $2,500 for the American Heart Association. The initiatives culminated in a Heart Walk at the North Augusta Greeneway in March. The Heart Walk is the association’s nationwide effort to raise money to combat the country’s number-one and number-three killers: heart disease and stroke. 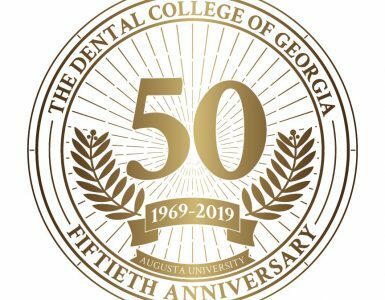 ADVANCED Education in General Dentistry and General Practice residents Lily T. Gilchrist, Christopher Bryan Lee, David G. Nill, and David E. Sullivan have been named Fellows of the International Congress of Oral Implantologists. Dr. Donald Craig Taylor, also a resident in the program, has achieved mastership in the college’s Implant Prosthetics Section. 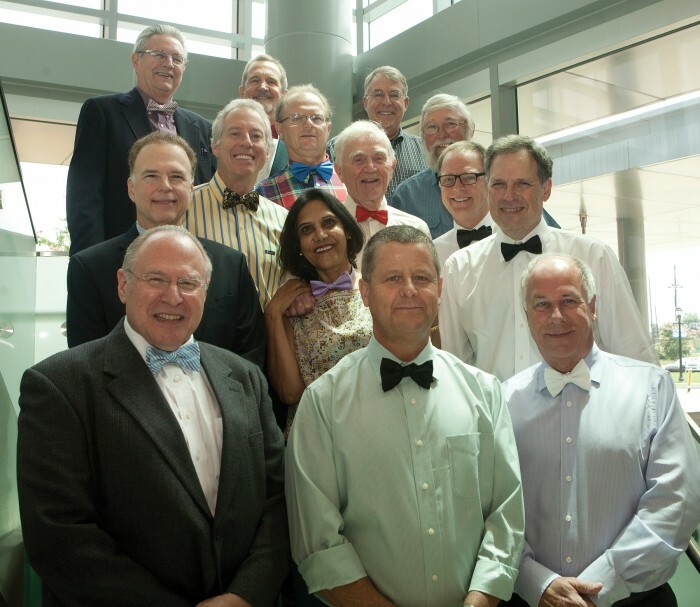 WHEN Dr. John “Marvin” Reynolds (in red tie), former Prosthodontics Residency Director, visited campus June 28 to conduct a continuing education course, he got more than he bargained for. Several of his former residents surprised him by showing up – all wearing a bowtie, his signature wardrobe piece – to help him celebrate his 90th birthday. 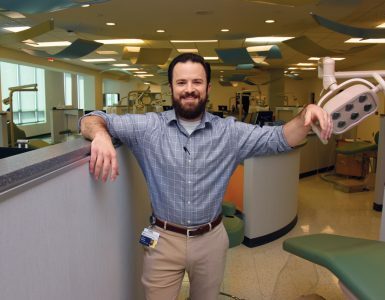 DR. THOMAS E. Van Dyke of the Harvard School of Dental Medicine’s Forsyth Institute, delivered the College of Dental Medicine’s Phil Hanes Graduation Lecture during a campus visit June 13-14. The visit was funded by the American Academy of Periodontology Foundation’s Finley Visiting Scholarship Grants, memorializing Dr. Charles W. Finley, a charter member of the foundation’s Board of Directors and its second President at age 75. 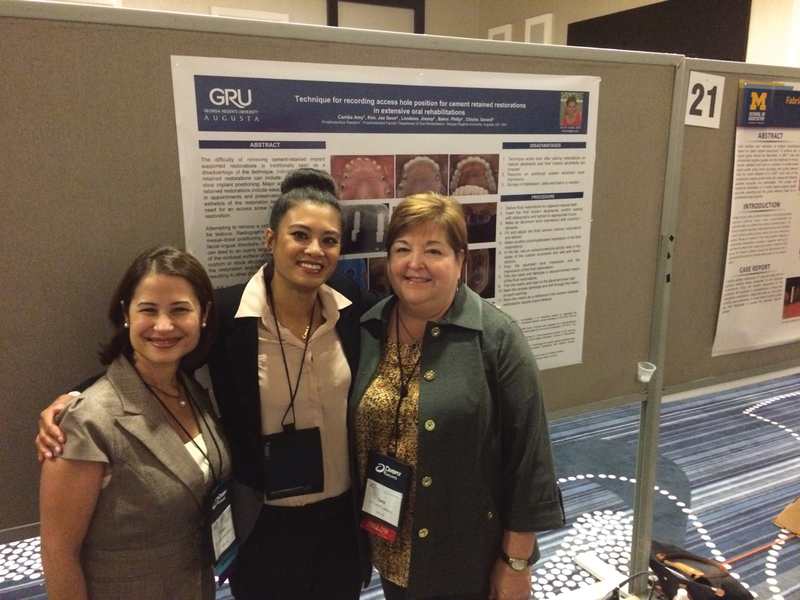 DR. AMY CAMBA, who is completing an esthetics fellowship, presented her oral rehabilitation research during the Annual Meeting of the American College of Prosthodontists in New Orleans Nov. 6. The poster she presented illustrated a technique for recording an access hole for cement-retained restorations.